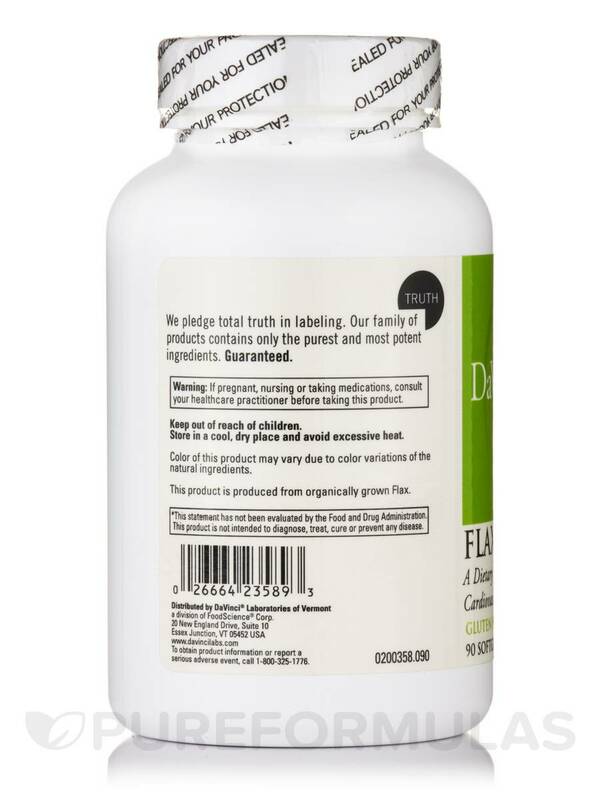 Flax Seed Oil is good for the heart and my eye doctor told me I need it for an eye condition..I really like that Pureformulas.com has this excellent brand available and in a 90 day supply!!! 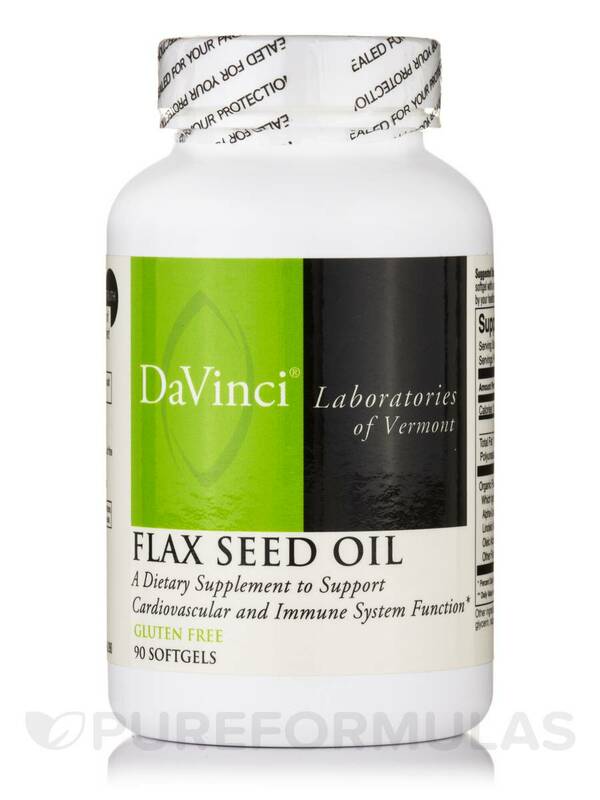 Flax Seed Oil is manufactured by DaVinci Laboratories to provide adequate levels of beneficial essential fatty acids. Flax Seed Oil helps lower blood cholesterol levels‚ and provides essential fatty acids that your body cannot manufacture. Omega-3 fatty acids help reduce swelling. Omega-6 fatty acids help improve the immune system by reducing leukotrienes. Leukotrienes are sometimes responsible for immune system suppression. 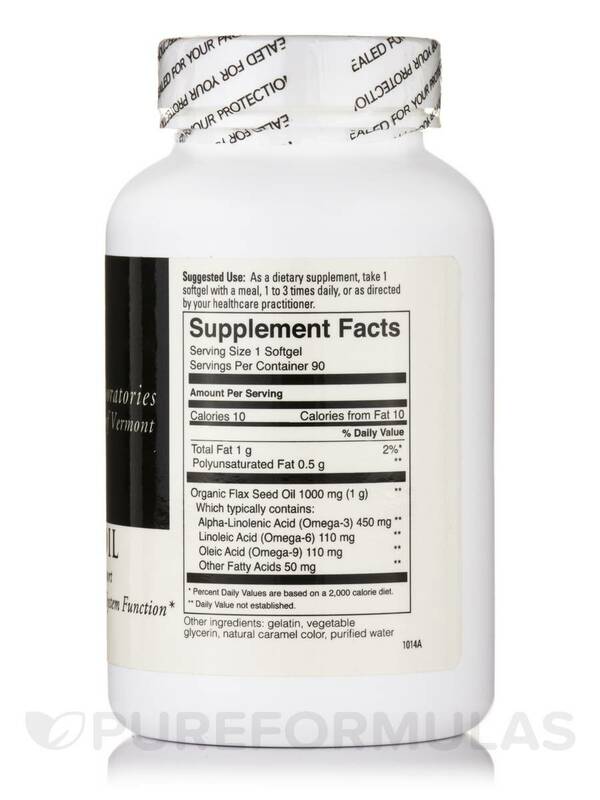 Oleic Acid helps reduce blood pressure and increase fat oxidation. Fatty acids can help in reducing inflammation in the body. Flax Seed Oil may support cardiovascular function‚ vascular health‚ and the circulatory system. Other ingredients: gelatin‚ vegetable glycerin‚ natural caramel color‚ purified water. 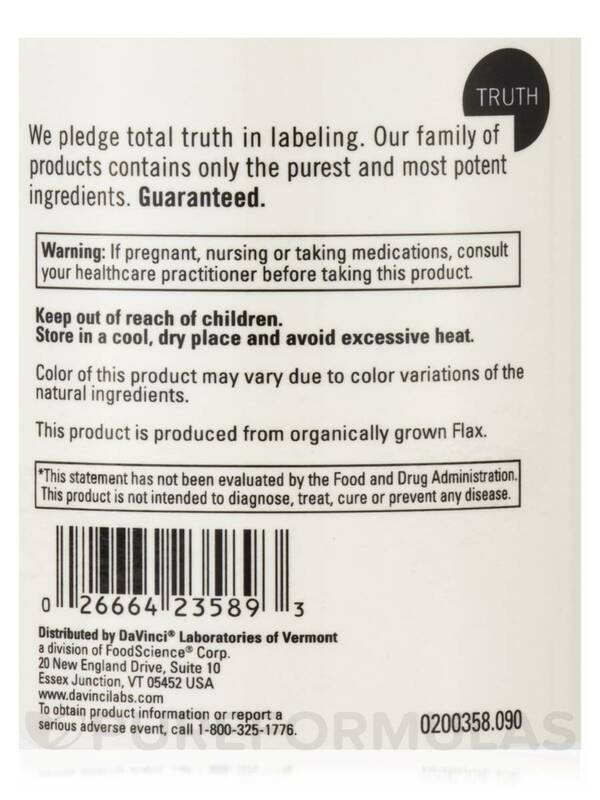 This product is produced from organically grown Flax. 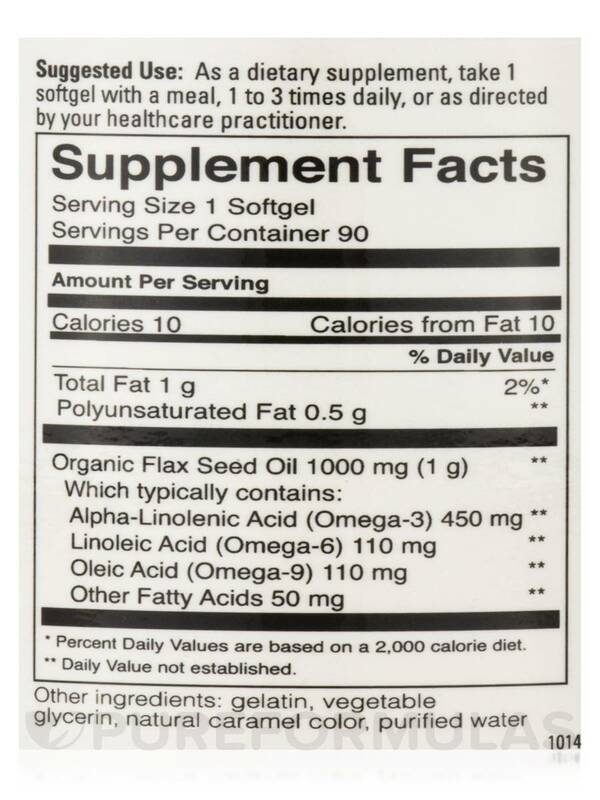 As a dietary supplement‚ take 1 softgel with a meal‚ 1 to 3 times daily or as directed by your health care practitioner. Keep out of reach of children. Store in a cool‚ dry place and avoid excessive heat.